The PERFECT bar light for ALL indoor and greenhouse lighting situations where primary or secondary lighting is needed. IDEAL for growing seedlings, clones, microgreens, lettuce, or herbs! A GREAT solution for stacked or racked multi-layer systems, vertical walls, or vertical plant lighting in trellised greenhouses. Use as a free hanging lighting between plant rows or the outside/inside edges in grow tents. Doubles as a replacement for any T-5 fluorescent setup. 3 different length options, 2 main spectrums, and 2 different versions available. A total of 12 different size/spectrum combinations! 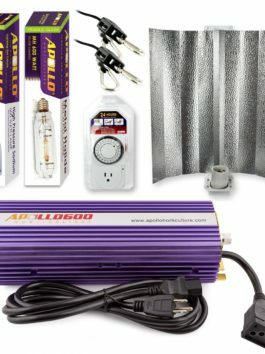 This is the perfect secondary light your grow tent is missing. Two are stellar to add to any grow, and don’t use much power for what is likely a great increase in yield, gotta love led! 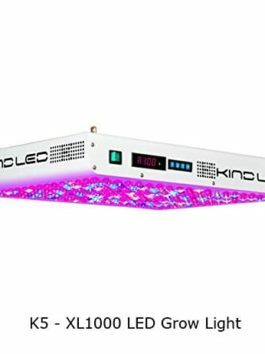 The Kind LED Bar Lights are split into two main spectrum categories, Vegetative and Flowering. There are two subcategories within each and every of the Vegetative and Flower lights. These are the A and B versions of each and every light. A AND B VERSIONS: The ‘A’ versions offer the main spectra needed for Vegetative or flowering growth, or Macro Spectra. The Macro Spectrum is comprised of the major blue and red bandwidths that are readily absorbed by plants and major building blocks for photosynthesis. The ‘B’ versions offer the more secondary spectrums needed for Vegetative or flowering growth, or Micro Spectra. The Micro Spectrum is comprised of the bandwidths that are used by the plants in lesser amounts like the oranges, greens, yellows, IR, and UV. VEGETATIVE AND FLOWER VERSIONS: The Vegetative spectrum bar lights are biased toward the blue spectrum and are great for all leafy greens and plants that wish to remain in a vegetative stage before initiating flowering. The Veg A contains the main wavelengths needed for lush vegetative growth. The Veg B spectrum offers the secondary wavelengths needed to round out a more complete spectrum if the usage of a couple of bar lights over one area. 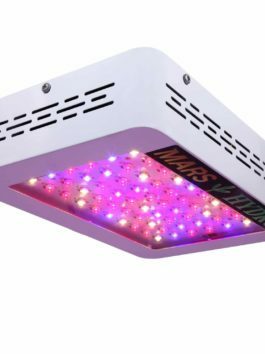 The Flowering spectrum bar lights are biased toward the reds and are great for all supplemental lighting on high light use plants that are in the flowering stage, or as standalone flower stage lights for plants. The Flower A contains the main wavelengths needed for robust flowering. The Flower B offers the secondary wavelengths needed to round out a more complete spectrum if the usage of a couple of bar lights over one area. SUGGESTED USE: Use a 2 to 1 ratio of ‘A’ to ‘B’ for a a couple of light setup or when the usage of the bar lights as a primary light source. This mix gives you the very best 12 band spectrum that may be found in all of Kind LED’s traditional LED grow lights. The bars will have to be spaced 6″-12″ apart at a 12″ hanging height. The beam extends 3″-6″ past the fixture. A GREAT solution for stacked or racked multi-layer systems, vertical walls, or vertical plant lighting in trellised greenhouses. Use as a free hanging lighting between plant rows or the outdoor/inside edges in grow tents. Doubles as a replacement for any T-5 fluorescent setup. 3 different length options, 2 main spectrums, and 2 different versions to be had. A total of 12 different size/spectrum combinations!